This SysAdmin Series article will cover four of my favorite tools as a sysadmin: two for analyzing network information, and one each for doing DNS lookups and Whois lookups on domain names. As with most apps I cover in my SysAdmin Series articles, I need to fully uninstall the app and wipe all prior data before demonstrating it here for you to protect my employer in case there’s any sensitive information lurking about. As such, don’t be too worried if apps with historical data appear relatively empty. As a teaser for this weekend’s SysAdmin Series article, I’ll be analyzing a few commercial (paid) VNC clients in the Market. 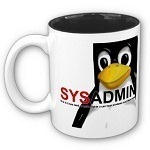 I love doing thorough reviews on commercial apps (like Decaf in SysAdmin Series Article #2), because I figure if I’m going to pay money for an app, I want to know everything out it, good and bad, before spending my money. App has had 1,000-5,000 downloads to date. DNS querying tool that supports the use of multiple nameservers and record types. Based on a user comment from May 8th, and the changelog of v1.5, it appears the developer is active in keeping his users happy by implementing requested features, which is good to see. The first recorded comment was March 8, so I’m guessing this app is only about 3 months old, but I’ve been enjoying it recently to do some DNS debugging. The primary features I love about this app is the ability to long-tap on any result and copy a piece of information to the clipboard (image 8). A short tap on any output will put that information into the IP Address lookup field ad search for appropriate records of that same type. This is a huge time-saver! 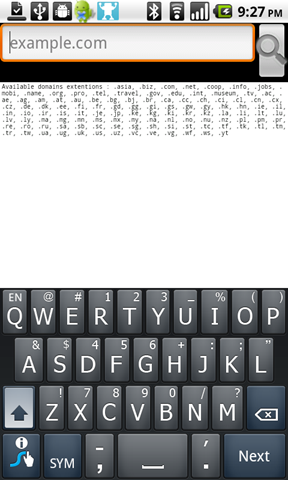 Also, once you have any output, opening the submenu and tapping on Mail will open your Email client (or ask you to choose), and copy the entire output block. If you want to limit your output block, there’s a submenu option to clear the output field first. From the submenu, choosing the Manage Nameservers option will show you any nameservers you’ve entered; tapping on them will prompt you to delete them. This relative newcomer to the Market is another awesome example of an app done right: it focuses on a job to do, and gets it done without any fluff, no hassle, and no bugs I could find while using the app. The only quirk I found was that there’s a ‘default’ nameserver configured in the app that you can’t delete or find any information on; while I understand the convenience to users who don’t know a nameserver off the top of their head to do an initial query, I find this to be a bit of a security risk, so be sure to enter your own nameservers if you’re planning on looking up any sensitive data. One feature I’d like to see is the ability to long-tap on a nameserver after doing a lookup, detect that it’s a nameserver entry, and give the user an immediate option to add that to their nameserver list within the app. App has had 5,000-10,000 downloads to date. 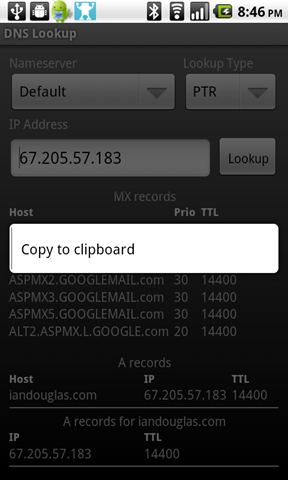 Touch the IP/gateway/MAC to automatically copy it into the clipboard. While this may be less a true sysadmin app, I find it’s still a useful app to tell at a glance what my phone information is. When connected to Wifi, I can see a lot more information about the connection than the typical network setup in Android will permit me to see. 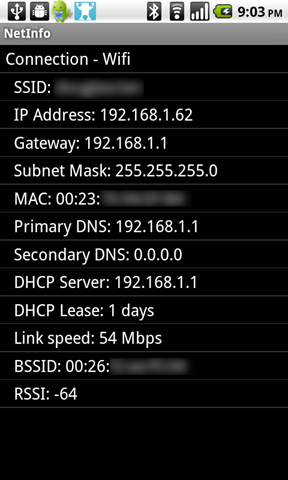 If your Wifi is disabled, starting the app will show you much less information about your 3G connection. 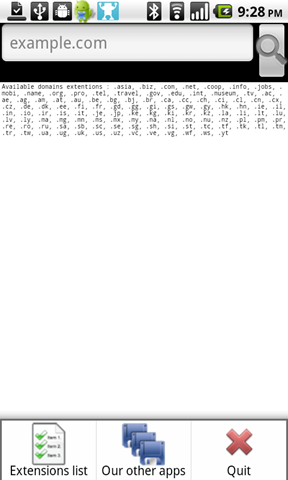 Some users may be confused at the pure simplicity of this app, but its tiny 33Kb footprint should warn you that it doesn’t do very much. However, its only subsequent feature besides showing you lots of network information is its ability to copy any of that information to your clipboard for use elsewhere by long-tapping on any line of information. This is especially handy when you’re trying to configure a router to lock down MAC address permissions and want to make sure that your Android device is allowed to connect to your wireless network. It also helps me determine that the leaked Froyo build FRF50 does not enable 802.11n, as it only reports a 54Mbit Wifi connection for me at home. There aren’t any real conclusions to add here, except that this very simple tool is a must-have in my arsenal for quickly seeing network information about my Android device. 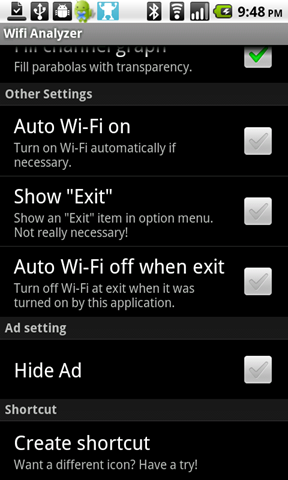 The ability to toggle between network modes if both Wifi and 3G are enabled – having to turn off Wifi to view the application output for my 3G connection seems like it could be improved. 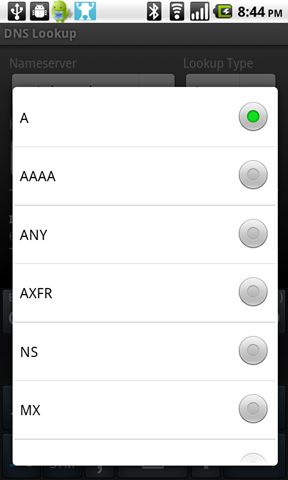 Perhaps a submenu to toggle between them. The ability to copy the entire block of information on the screen to my clipboard instead of a single piece of information. App has had 10,000-50,000 downloads to date. Personal note: I know the Market description is grammatically incorrect; I type it as I see it. 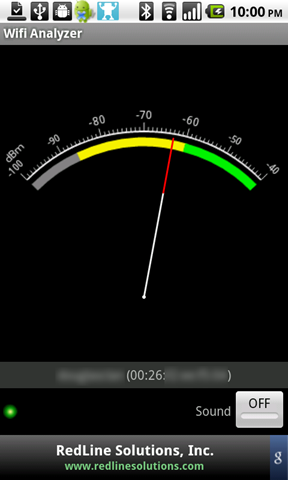 I actually found out about this app while browsing all apps made by Magma Mobile, who creates a Google Adsense reporting tool for Android (search the Market for Droidsense). 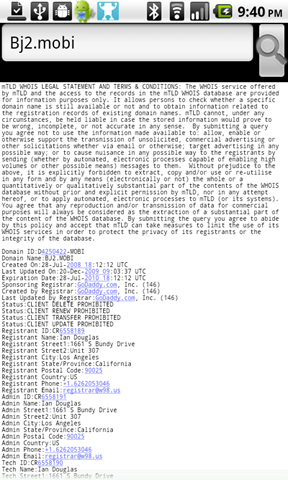 This whois tool hasn’t been updated since January 4, 2010. Since then, several Android devices with large screens have been out since then, even before then, like the Motorola Droid with its 854x480 screen in Deember 2009, and the Nexus One with its 800x480 screen in January 2010. I bring this up because the home screen has microscopic text written on it when viewed on a high-resolution screen. Apparently the developers haven’t read up on the “display independent pixels” (dip) and how to create styles within their app that scale automatically based on the device’s actual screen size. 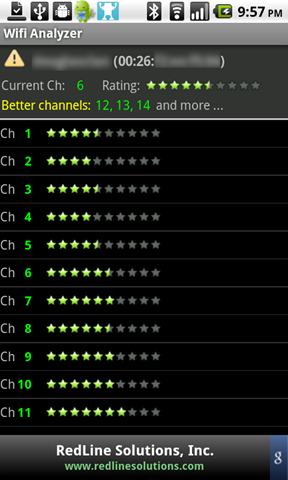 Still, this app is another stellar example of an app doing one thing and doing it well. That said, if you have poor eyesight, you might want to pass on this app. My opinion of Magma Mobile comes only from Droidsense and this Whois tool, both of which feel like they were hastily developed or could do much more. For example, when looking up a .com domain name, it does not do a full query and return contact information, it only returns the top portion of the whois response which captures the nameservers for the domain record, the registrar, and the like. It would also be convenient to have the means to copy the output to the clipboard and/or mail the information to someone. I have personally ranked this app with 4 stars simply for the font size choice, and inability to really do anything with the resulting output that the app provides to the user. App has had more than 250,000 downloads to date. 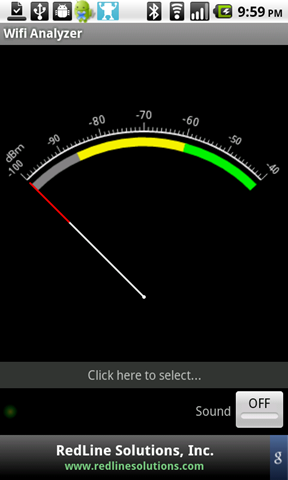 * Fix: The beep sound issue on Nexus One + Froyo(2.2). NOTICE: This release contains Ad but you can hide it via settings. 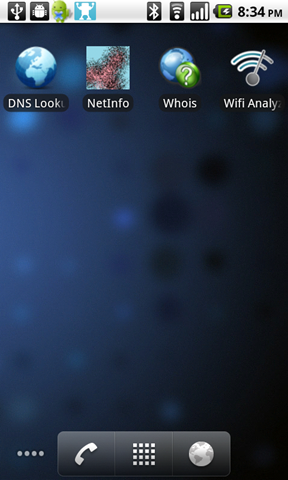 This is one of my favorite wifi-related apps. 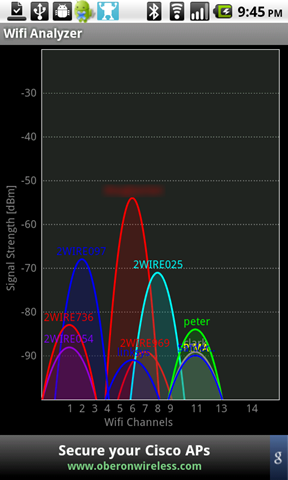 In a nutshell, this scans for nearby SSIDs, and shows you an animated graph of the SSID, the Wifi channels it currently operates on (the peak of each parabola is the primary channel the wifi router uses, I guess), and the signal strength (higher is better). 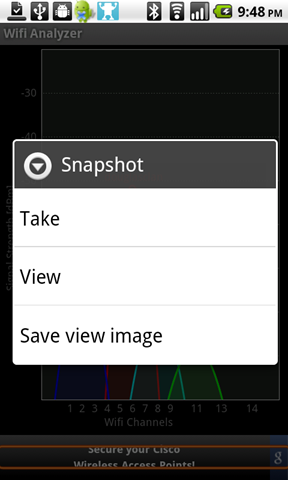 The Snapshot feature of the app is handy as well. 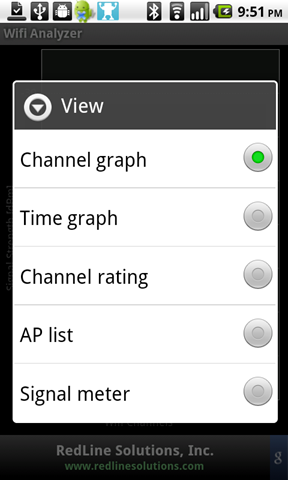 There are also lots of settings to customize the app (images 4a and 4b). 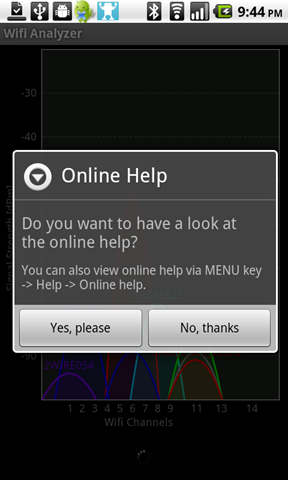 Going into View mode will let you pick different graphing methods, described below. Each view has a slightly different set of submenu options, which I am not going to document here; most of them will let you access the main Settings panel and get help on using the app. 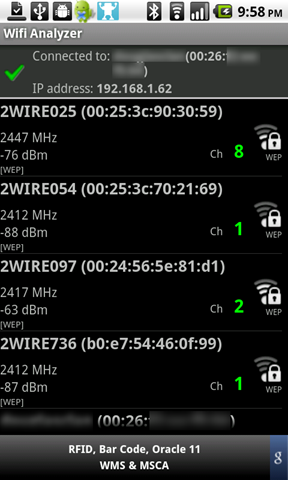 Some of them like the Time Graph will let you filter the list of SSIDs to only scan what you really care about seeing. 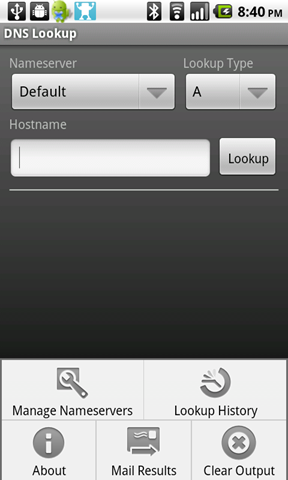 This is the default view when you start the app (image 2). 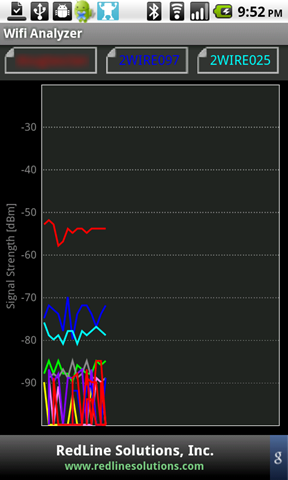 Here, you see a plot of every SSID in the area, its signal strength and channel range. 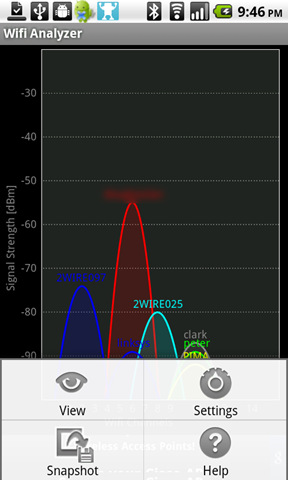 This is easily the most thorough wifi analyzer tools I’ve seen in the market, and is a must-have. If nothing else, run the Channel Graph on your wifi to see whether reconfiguring your router will free you from any interference from neighboring wifi signals. 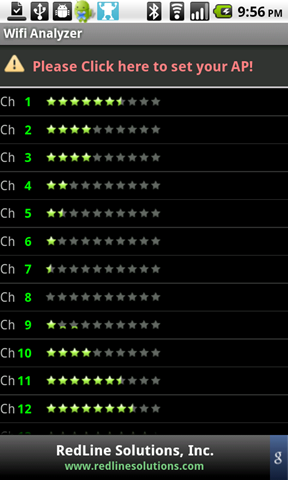 I rated this app a solid 5 stars. Like other users commenting in the Market, I’d happily pay a few bucks for a version of this app to avoid ads and to better support the developer.